House Majority Leader Steny Hoyer said Tuesday the House will cancel its scheduled recess next week unless the partial government shutdown ends and the government is funded. “If the government is not open, we will not have a recess,” the Maryland Democrat told reporters in a pen and pad briefing with reporters in his Capitol office Tuesday. Democrats also refused to participate in a lunch with President Donald Trump at the White House Tuesday. The meeting was planned to discuss a compromise to an end to the partial government shutdown. However, all Democrats who were invited refused to attend. Trump was on Capitol Hill Wednesday for a meeting with Republican senators to discuss the shutdown and border wall funding. He said Republicans were “unified” after the meeting. 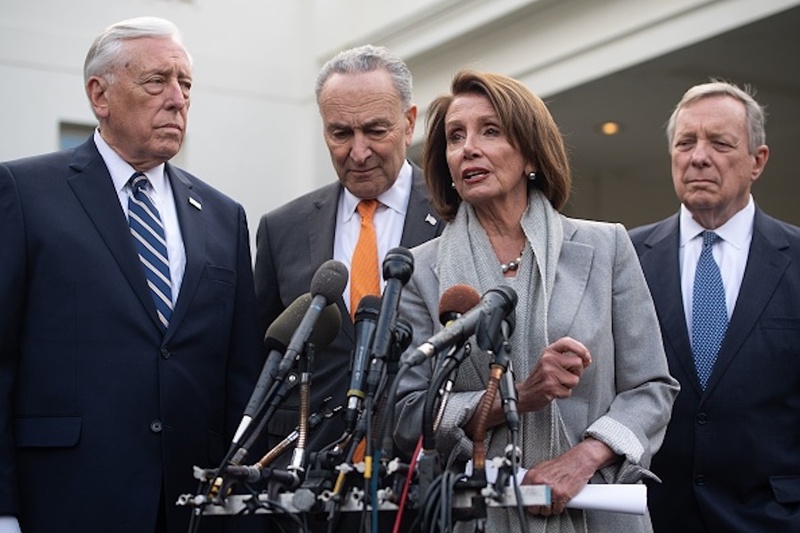 The president also warned Democrats he might declare a national emergency if they cannot come to an agreement soon.